Looking for information about apple cider vinegar? Want to know if apple cider vinegar is good for your health and if it can help you lose weight? Before answering these questions, it’s important to know that apple cider vinegar is not something new. This product, if I call it that, has existed for almost centuries. Apple Cider Vinegar, or ACV as many people call it, is what is commonly called a grandmother’s remedy. That being said, if you want to excel your health and find out more about apple cider vinegar and its benefits, make sure to read this article and you’ll be well on your way. In this article, we’re going to talk about apple cider vinegar. In a nutshell, we’re going to see how to lose weight by simply drinking apple cider vinegar. How can apple cider vinegar really help you lose weight? NOTE : Before we jump into the weight loss aspect of things, it is my duty to remind you that the following information is provided for your information only. Always consult a professional nutritionist or your doctor before taking any treatment or starting a diet. On the other hand, you must never forget that no matter what the qualities and benefits of a supplement, nothing replaces a healthy lifestyle. So, if you want to get results, lose weight or have better health, you should also exercise regularly. So, what is vinegar apple cider and how can it help you lose weight? As I told you earlier, apple cider vinegar has been around for many years now. It has stood the test of time thanks to the amazing benefits it has. Thus, despite the modernity of our medicine and the many products and treatments that researchers have developed to help us have better health, many people continue to use apple cider vinegar. Others use it mainly to lose weight. To answer the question: what apple cider vinegar is, you must know that apple cider vinegar is simply “apple juice” that has been fermented into a vinegar. It’s loaded with enzymes and you get this healing product just because all the sugars are fermented out of it. In a few words, you can get apple cider vinegar by crushing apples then squeezing out their juices. After that comes the fermenting process where the sugars are fermented into alcohol then into vinegar. It can then take between 3-4 weeks before the product is ready to drink. Among other factors that make apple cider vinegar so popular and so healthy, it can be emphasized that this product is high in potassium, rich in acetic acid and rich in ash. Potassium is a mineral that is good for building muscles, growth, transmission of nerve impulses and even for heart activity. It also helps to fight against hair loss or brittle teeth for instance. As with most of the products we eat, there are many varieties of apple cider vinegar on the market. Some are of very good quality and others of average quality. Others are not good at all. They are completely bad. So, do your own research before choosing the product you are going to buy. Personally, I have not tasted them all. Hence, I will not recommend a product because it depends on the taste of each person. If you can, opt for an organic product that is non-GMO; a raw product with no pesticides involved, that has not been pasteurized and that contains simply some of the particles from the fermenting process. Unfortunately, many of the apple cider vinegars today in stores are pasteurized and filtered. Now, why should you use apple cider vinegar to lose weight? With that said, let’s now go ahead and talk about why you can use this product to lose weight. Let’s talk about the weight loss aspect of this product because after all, that is why you’re reading this article in the first place. 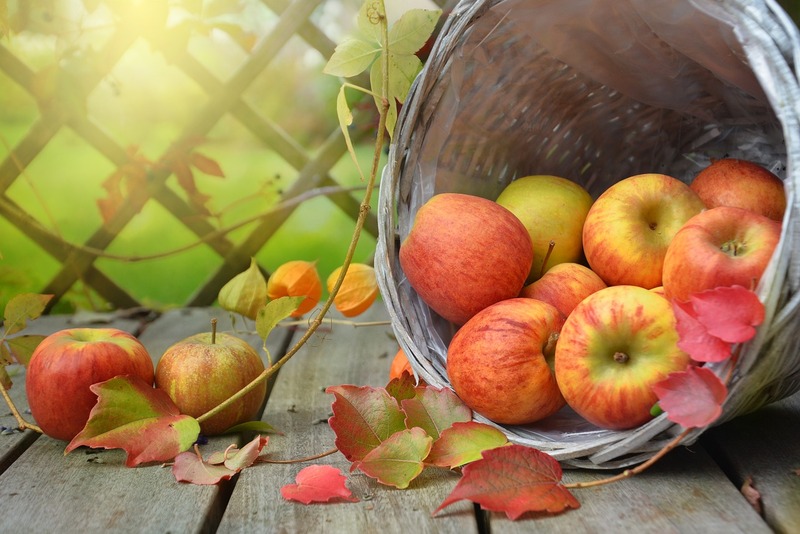 So, when we look at so many people who are talking about getting amazing results using apple cider vinegar, at first, we might think that it’s because it has this great nutrient density and that’s why you feel so good from it. But that’s not the truth of the matter. As I mentioned before, apple cider vinegar is very high in something called acetic acid, and the acetic acid does some great things for our body. One of the reasons that you can lose get weight with apple cider vinegar is because it balances your insulin levels as well as your blood sugar levels. On top of that, when you take apple cider vinegar, it increases satiety, decreases your appetite and it increases your metabolism function. In fact, it is the combination of several elements, added to the consumption of apple cider vinegar, that contributes to weight loss. When you consume apple cider vinegar it makes you have less of an appetite and makes you eat a little bit less. So, as you can see, that’s the major reason that you’re going to have weight loss with apple cider vinegar, which is great by the way. And now the other reason you’re going to have weight loss with apple cider vinegar is that it’s going to help balance your blood sugar. When you balance your blood sugar, your body can just function better. So not only can this product help you lose weight, but we’ve also seen that it can help you balance your body’s sugar level, which is pretty good for fighting sugar-related diseases such as diabetes. The other great thing that happens with apple cider vinegar is that it helps balance the Ph of the body, which increases the potassium and calcium levels within the body and it makes it more readily available to be utilized. Now when you have an imbalanced Ph, one of the things that can happen is that you have decreased potassium levels, decreased calcium levels and it can cause a lot of different disturbances within the joints and aches and pains and blood pressure issues. Many people believe that the reason that so many people get just absolute incredible benefits all around from apple cider vinegar is because of this Ph balance thing. Now once again, don’t just go out there and start drinking this product whenever. As I told you before, here we do not give you medical advice. But just pieces of information for your general culture. In reality, you should always seek advice from your own doctor. In fact, it’s not just about apple cider vinegar helping you lose weight and just drinking it whenever. There’s really a strategy behind that and here it is : To get the best results with this product, you should consume the apple cider vinegar before meals. I must tell you that that’s not a very appetizing drink to consume. What you can do is take a tablespoon of apple cider vinegar, a tablespoon of lemon juice and mix that in with a cup of water and then drink that before the meal. Then, that’s when you get all these massive benefits from this product. Among other things you can do, is you can add some fruit juice into it or even a little bit of honey into it. But be careful not to add more extra sugar in there because the goal is not adding more sugar than you already have in the body. But if you want to help with the flavor a little bit, then you may want to put that fruit juice in or put that honey in. The reason you want to drink it before the meal is because that’s when you’re going to get the maximum benefit of satiety and decrease in your appetite, consuming less food and blood sugar balance. What you can do is drink that little elixir that I just mentioned before every meal and then you are going to get the benefits from it. Depending on your schedule or workload, you may not always be able to carry around your apple cider vinegar with you. This means that you can’t just have this apple cider vinegar beverage handy at all times. To overcome this situation, what you can do is consume it in the morning and at night and you’ll still get some of those benefits. I hope you liked this article. If you found it interesting, do not hesitate to share it. Also, if you have any other clarifications to make to improve this article and to give more advice to our readers, do not hesitate to leave us your comments below.